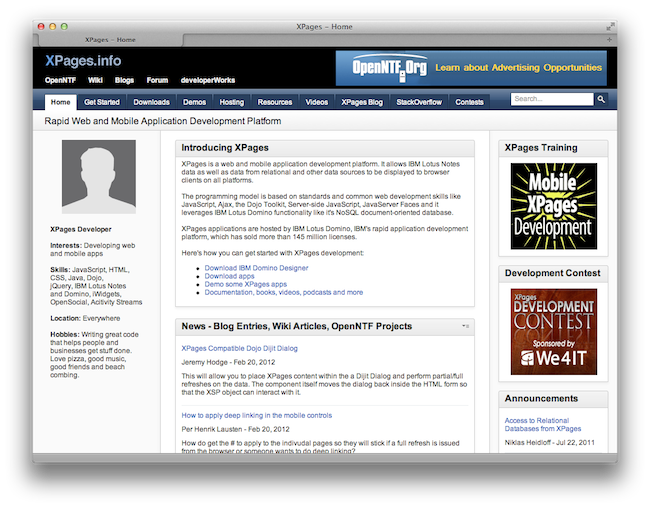 Over the next few weeks OpenNTF will be rolling out a new look and feel for the XPages.info site. As you can see from the preview below we are using the latest OneUI theme and the site also matches the look and feel of the XSnippets.info site. We are also working with Giuseppe Grasso of DominoPoint on a new skin for the main OpenNTF.org site that closely matches XSnippets and XPages.info. Oh and we also have another new community site which we will be announcing soon. Think IBM Connections. What are some of the things that you would like to see changed on XPages.info. Please feel free to leave a comment or send me an email.